Clone Drone in the Danger Zone from Doborog Games seems like a rather fun third person sword fighter and the developer has made adjustments for Steam Play. First, what is it exactly? In their words "Clone Drone in the Danger Zone is a third person sword fighter where any part of your body can be sliced off. 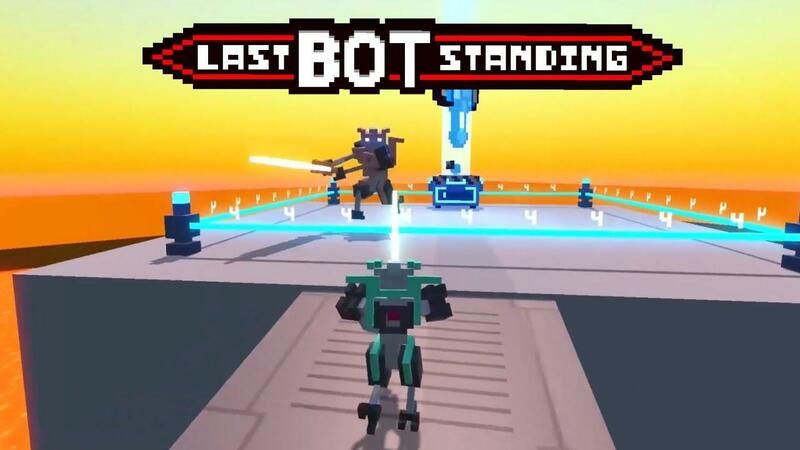 With your mind downloaded into a robot gladiator, you must survive the sinister trials of the arena.". I was elated to hear that the Steam Play version of the game worked for singleplayer, and I recently tweaked our multiplayer system to give Steam Play Linux players a workaround to connect to games. There is a known issue with Wine's ping library that causes games to crash when they try to run a ping. I added an override setting so players can now select a region and avoid triggering a ping. I hope we can continue to serve Linux players, as I was a big Linux game player when I was growing up (BZFlag, GTetrinet, and Sauerbraten aka Cube aka OG multiplayer Minecraft :)). This is a similar issue to one I noted in our Darwin Project article, which also needs you to first manually pick a region. Worth looking into if you're unable to connect online in other Windows games played through Steam Play. We're not actively exploring a native version at the moment, partially because things are in flux with our multiplayer system and we're worried these changes could potentially break it or make it incompatible. If there's still demand for a native Linux version of the game (vs. just via Steam Play), I'd love to hear from players as it will help me prioritize what we work on next. Reach out to me support@doborog.com and I'd love to hear why you're interested. There are a handful of things that were broken the last time we tested a native Linux build, but it's possible that's improved since our Unity upgrade! I think this is quite interesting. They're willing to adjust their game for users playing it on an unsupported system, while still being open to doing a native Linux version. You can find Clone Drone in the Danger Zone on Steam (34% off during the sale). Hope to see more of this happening in the future! That's cool but 'no tux no bucks'. MichaelDN That's cool but 'no tux no bucks'.